Students with the STAGE program perform. The alumni and students at Washington State University are known for fanatical devotion to their school. The phrase “We bleed crimson” is found on motor homes at tailgating parties, dorm room windows and even Mercedes Benzes. But budget cuts from the Washington State Legislature have left WSU bleeding. In 2009, school officials announced that they would slash a total of $54 million from the university’s budget — approximately 30 percent of the university’s operating costs — over the next two years. As a result, the Department of Theatre and Dance and two other programs were eliminated. Officials say the department was cut due to lack of visibility, impact and numbers of graduating students. The university’s theater department graduated an average of eight students per year. The neighboring University of Idaho graduates an average of 35 theater students per year, while Whitworth University averages 11. Despite budget cuts, a group of faculty and students are working to keep drama alive on campus. “The budget cuts forced us not only to defend our department, but to defend our craft,” says Benjamin Gonzales, professor with the WSU music department. Gonzales was one of four faculty members within the theater department. Two of his colleagues retired, one transferred within the university. Gonzales is taking a step with WSU Performing Arts. The professional performing arts organization was established recently by WSU President Elson Floyd to promote theater, music and performance arts on the WSU campus. WSU Performing Arts brought Chicago’s legendary sketch comedy troupe Second City to Pullman this month, and in March, they are set to host electric violinist Geoffrey Castle. Come April, they plan to produce a show featuring Japanese drummers Portland Taiko. Siegal says WSU Performing Arts was granted start-up money reallocated from the university. Though she doesn’t disclose the amount of seed money the program received, Siegal says that the organization is currently applying for grants and sponsorships with a plan to be selfsufficient within one year. WSU Performing Arts will also give students the opportunity to learn from, and participate in, scheduled acts. Students will have access to workshops, have the opportunity to run lights and sound, take tickets and work behind the stage during professional acts. 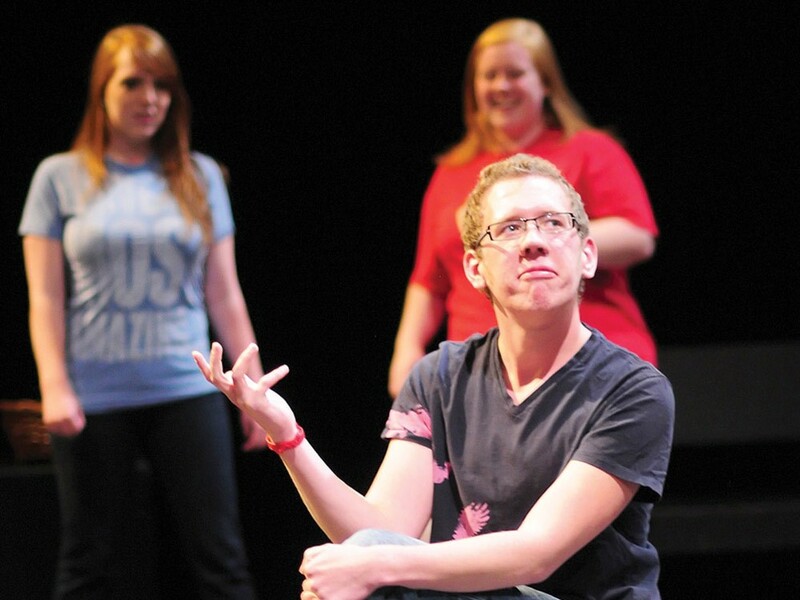 STAGE and the NUTHOUSE improv comedy troupe will also remain active on campus. In April, STAGE and members of the WSU community plan to pair with WSU Performing Arts to present What The Butler Saw. In April, STAGE will also perform the play Spike Heels. Despite the closure, organizers like Gonzales and Siegal say those who are passionate about performance arts will always find a home at WSU.